ProjectManager: Track the success rate of your chats! ProjectManager allows you to create a file in your ProjectManager.com account when your chat is finished. Use this opportunity to track the success rate and the amount of chats completed on your website! 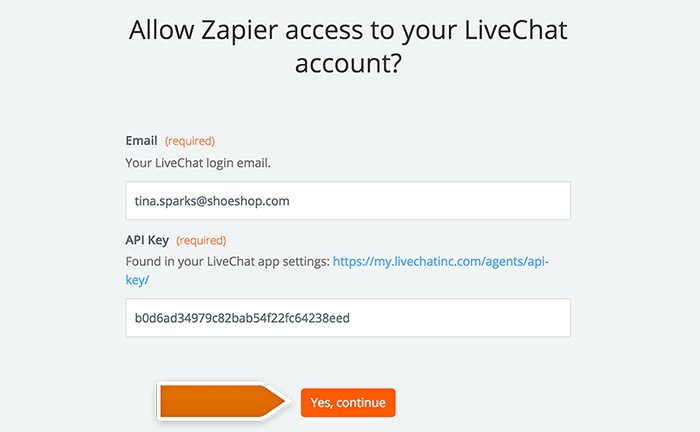 We prepared a short tutorial on how to integrate LiveChat with ProjectManager with the use of Zapier. We hope that you will enjoy it! On the Choose an Action App section, type ProjectManager into the search field and choose the app from the list. Next, choose Create File as the Zap’s action. To proceed, click on Save + Continue button. Now it is time to add your ProjectManager account to Zapier. To do that, click on Connect a New Account button. A new window will pop-up. There, provide your ProjectManager’s API key and click on Yes, continue button. On the next section, set up your ProjectManager File. In the File Name field, type the name of the document that will be created in your ProjectManager account. and add it to the Download URL field. You can change the URL’s ID from 1024 to any ID number that you would like to assign to a file. To proceed, click on Continue button. On the next section, you will see a summary of a file that will be created in your ProjectManager account. It is also time to test if LiveChat is successfully integrated with ProjectManager. Done! Now your LiveChat is integrated with ProjectManager. All that is left to do is to turn on your new Zap. Done! Now, your ProjectManager integration is ready and each time your chat will finish, the new file will be created in your ProjectManager account.